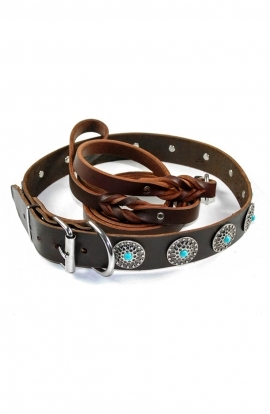 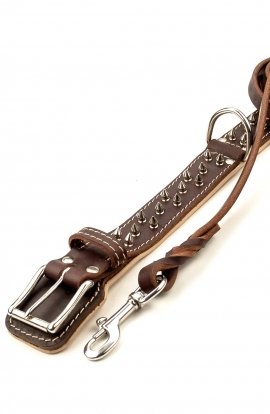 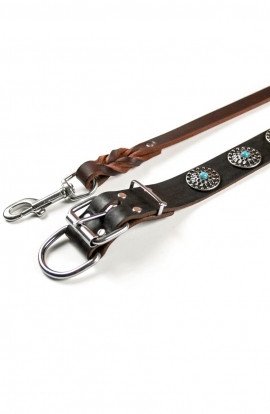 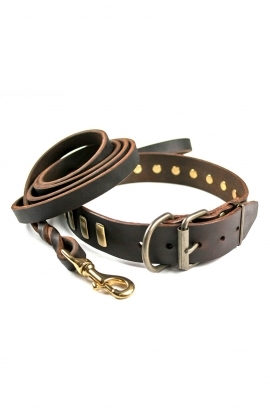 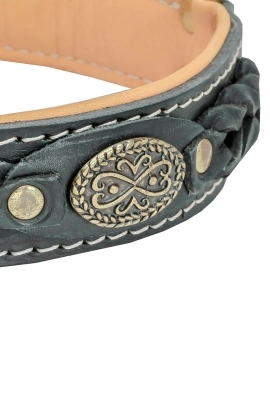 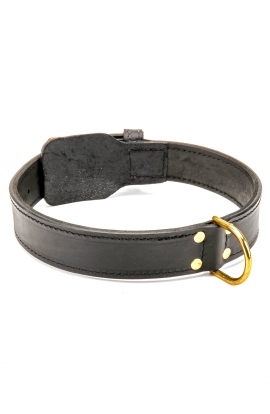 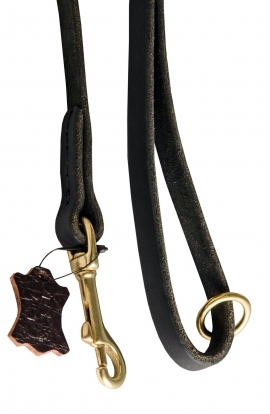 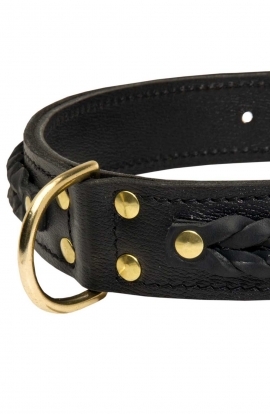 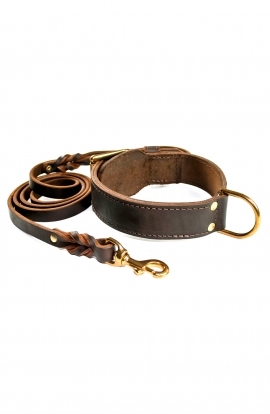 “Great quality leather and looks great on my English Mastiff's neck. 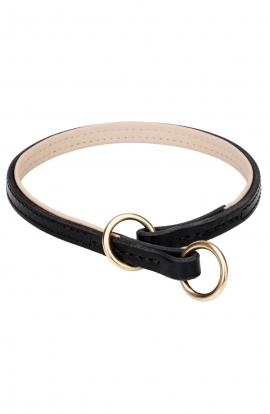 He is a fawn color. 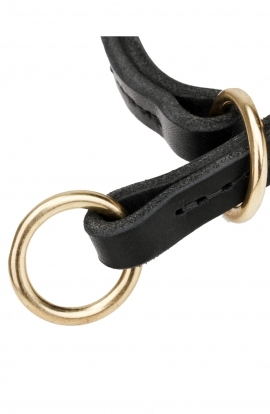 Very sturdy buckle and D ring too. 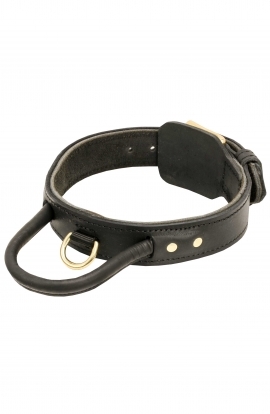 Store front is a bit misleading. 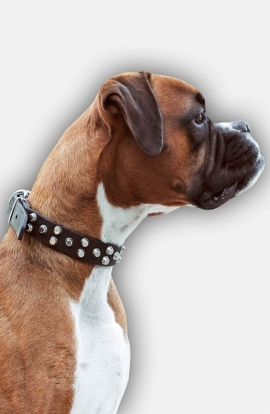 The custom painted collar was shipped 2 days after ordering"
Unforgettable, irresistible and durable set of 1 ½ inch wide collar and dog lead to keep your canine in safety and in style, of course! 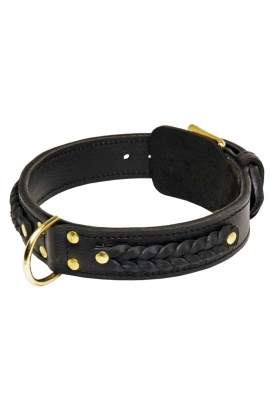 This dog collar combines chic and unsurpassed comfort, thick durable leather on the outside and soft delicate Nappa inside. 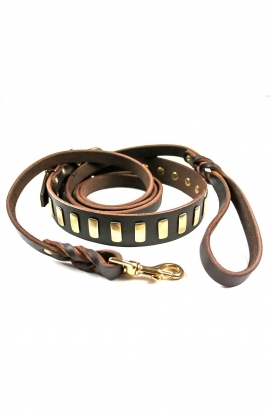 Stitched 100% full grain genuine leather gives you an opportunity to use this leash for walking, training, tracking, patrolling and dog show. 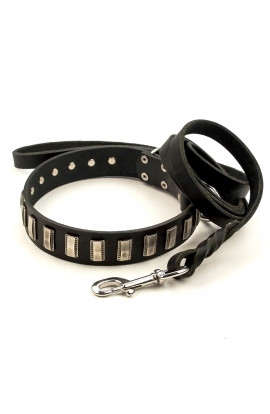 This 2-ply leather dog collar is perfect for agitation, protection, off-leash and other types of training. 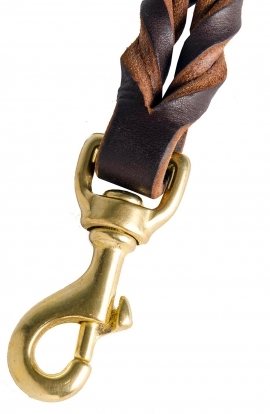 Produced of first-class genuine full-grain leather with brass hardware it will serve you a life. 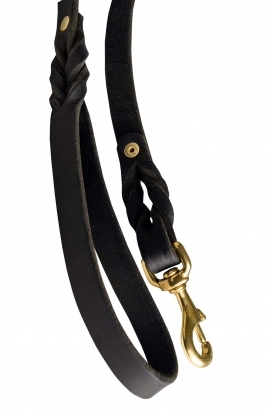 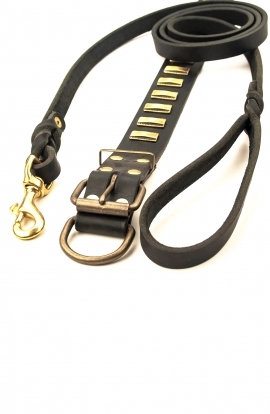 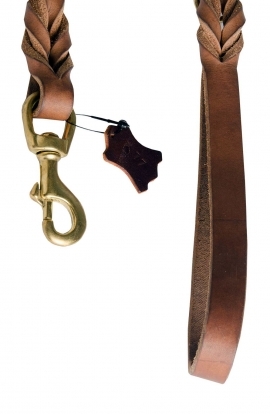 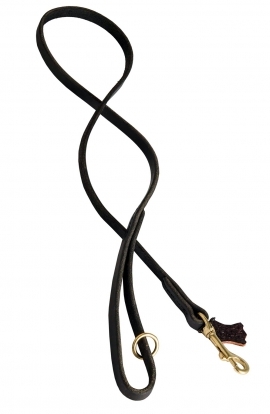 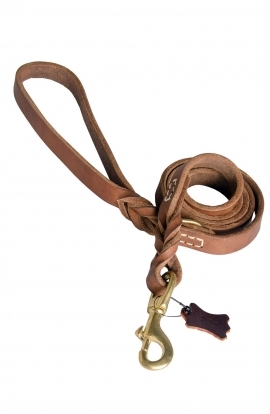 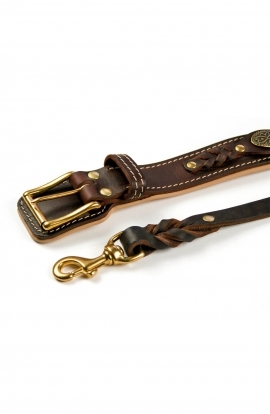 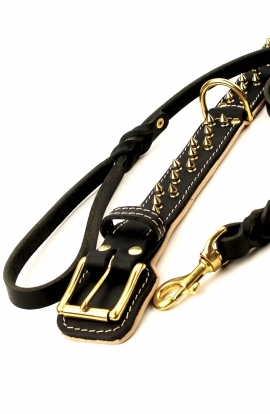 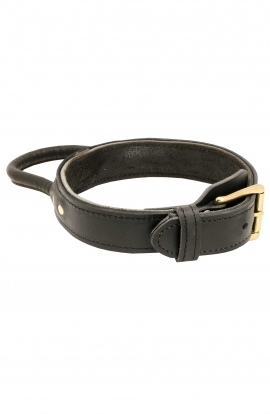 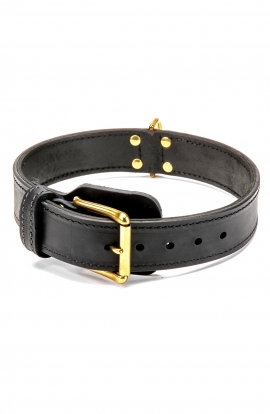 It is 1 3/4 inch (45 cm) wide and features brass roller buckle and welded D-ring with quick access for attaching a leash.